Mirror, mirror on the wall, who is the greatest of us all? When Jorge Mario Bergoglio became Pope Francis in March 2013, I was struck by the fact that this humble Jesuit priest, who lived a simple life and was dedicated to serving the poor, had suddenly been elected to one of the most powerful positions in the world—head of the Roman Catholic Church and the spiritual leader of an estimated 1.2 billion Roman Catholics worldwide. 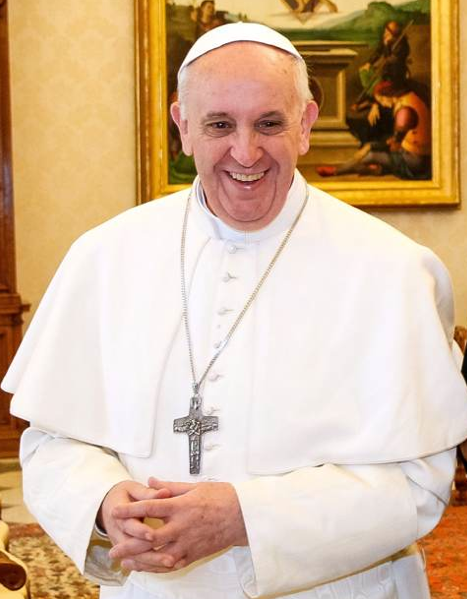 Bergoglio never sought positions of power, prestige, or greatness, for he was committed as a Jesuit to poverty, chastity, evangelism, and to following the teachings of Jesus Christ. And yet he was entrusted with higher positions and responsibilities throughout his ministry, rising from lowly priest to bishop, archbishop, cardinal, and then pope. If we consider the most powerful leaders in the world today, we soon realize that very few of them reached where they are today by being humble, living simply, or by being dedicated to the poor. Most got where they are by aggressively pursuing personal success—the type measured by society’s standards of wealth, fame, power, and prestige. Many were selfish, arrogant, and clawed their way to the top at the expense of others. When the disciples erroneously thought that Jesus was about to establish a political kingdom on earth, they argued among themselves about who was the greatest and who would get the most prominent positions of leadership and authority in his new kingdom (Mark 9:33-34). And even the mother of James and John, Jesus’ cousins, petitioned Jesus to assign her sons to places of honor beside him (Matthew 20:20-21). Like the disciples, we all yearn to live meaningful and significant lives, perhaps even lives of greatness. But true greatness, Jesus teaches, comes only by joyfully and humbly serving God and lovingly doing things for others. Each of us can be truly great in our present station of life—in our homes, jobs, careers, schools, colleges, or other areas—if we follow Jesus’ example of humility, selflessness, and service.